Showing results by author "A.R. 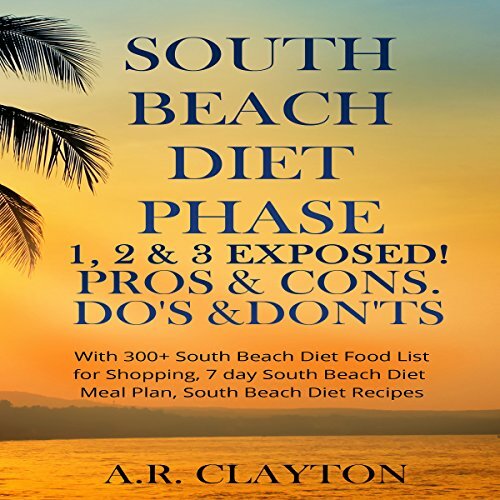 Clayton"
South Beach Diet Phase 1, 2 & 3 Exposed! The South Beach Diet is a lifetime approach of healthy eating by balancing the lean protein, good carbs, and healthy fats in your meals. This diet focuses on consuming plenty of fiber by including more vegetables and fruits in your eating plan. The low glycemic load of this weight loss method also prevents the increase of blood sugar, which helps fight food cravings, which in turn helps shed the excess pounds and even prevent the development of diabetes and cardiovascular disease.